Responding to the claim that former vice president and presidential candidate of the Peoples Democratic Party Atiku Abubakar is Cameroonian and not Nigerian, contained in a statement filed through the PDP’s lead counsel Lateef Fagbemi and presented before the Presidential Election Petition Tribunal on Friday, Abubakar reportedly was almost crippled with shock as he retreated to his Abuja home after a late meeting with party leaders and chieftains. He had to seat alone in his private office for one hour, doors locked and demanding not to be disturbed, staring blankly at an ornately-framed picture of himself with the inscription delicately etched at the bottom: President of the Federal Republic of Nigeria. 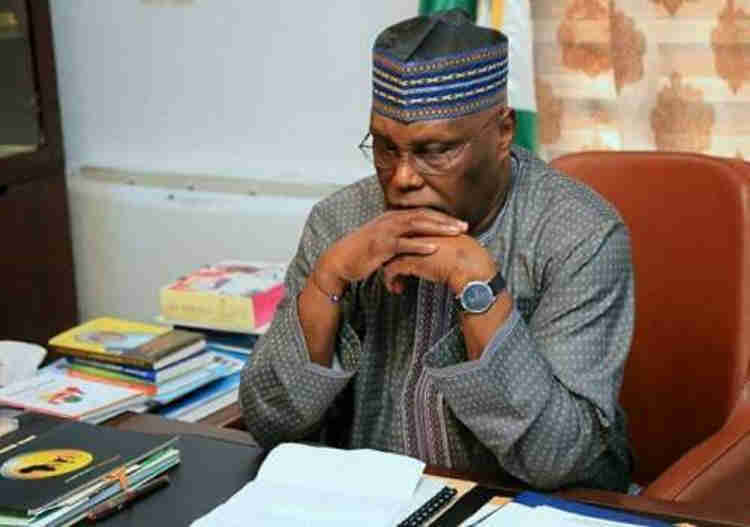 At press time, Atiku was still in his private office staring at his picture.